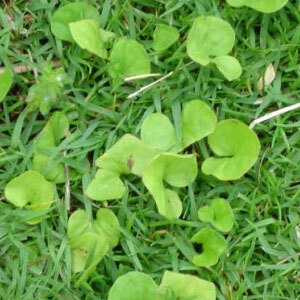 Similar in appearance to a lily pad, Dichondra is a very common problem in Florida landscapes. This warm season creeping weed comes annually. It used to be only thought of as a weed, but many people now use it as ground cover where normal grasses do not grow as well. If you Dichondra is a weed and not desired in your landscape, call us, we can help.